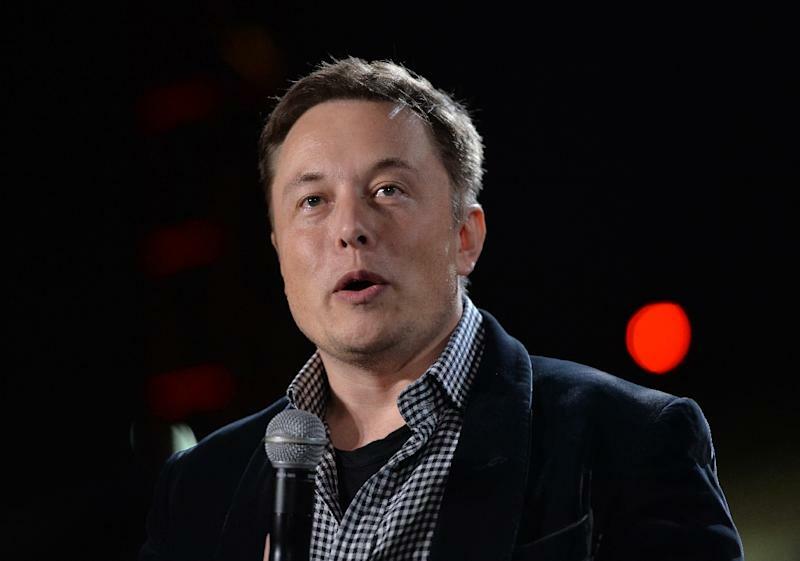 Shanghai (AFP) - Serial entrepreneur Elon Musk has launched spacecraft into orbit, but popularising his Tesla electric cars in China is proving to be tougher than rocket science. PayPal billionaire Musk -- co-founder and chief executive officer of Tesla as well as chief of rocket maker SpaceX -- visited China last month, and admitted sales in the world's largest auto market were below expectations. "China is the only place on Earth that we have excess inventory," Musk told Chinese media, blaming "speculators" for ordering cars amid the early media hype and then not taking delivery. When China's premier auto show opens on Monday in commercial hub Shanghai, Tesla will be among the 2,000 exhibitors vying for the eyes -- and wallets -- of the massive market. China is the world's biggest polluter, but analysts say electric vehicles face key challenges: consumer reluctance due to perceived problems with safety, reliability and access to charging facilities. Tesla has never announced sales targets for China, but the launch of its cars generated widespread media coverage and an enthusiastic initial response. Now, though, it has more than 2,000 unsold vehicles, according to Chinese media reports, and confirmed last month that it was cutting jobs in the country. "Elon Musk and his team had a very limited understanding of the China market," said Professor Gong Yan of the China Europe International Business School. "The fanatical reaction at the time caused a misjudgement of the China market by his team. For example, sales targets were raised too quickly," he said. 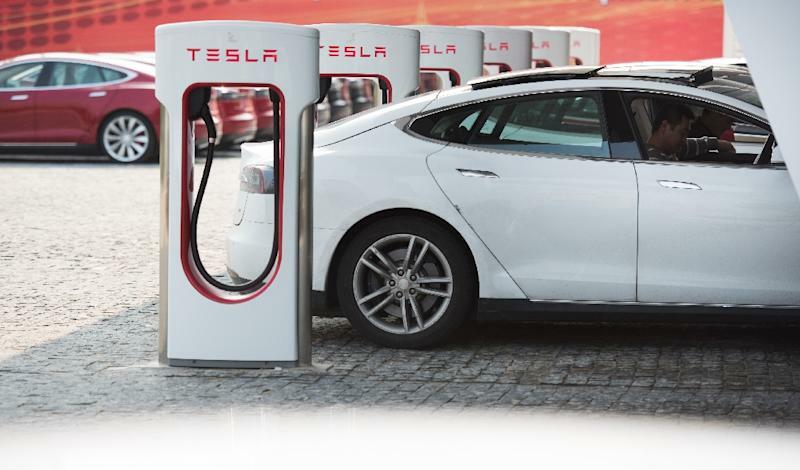 To help sales, Tesla is giving every buyer a free charging device and free access to its mainland China network of more than 50 "supercharging" facilities -- the equivalent of a petrol station, although they take an hour to do the job. Beijing is keen to promote the use of "new energy" vehicles, out of both concerns over pollution and as part of a broader policy to build up the domestic auto industry. State-backed power companies are building charging stations around the country, but even Neo Wang, the founder of Chinese charging facility network builder ChargerLink, admits it is an issue. Formerly an Intel executive, he bought his first Tesla because "in the eyes of people in my industry, technology is fashion", but liked his car so much he joined forces with the manufacturer. When he drove it the thousands of kilometres from the northern capital Beijing to the southern boomtown of Shenzhen, he said refuelling every 350 kilometres was a "headache" and he had to turn to hotels along the way to help. "The biggest concern about an electric car for most people is charging and the distance it can go," he told AFP. 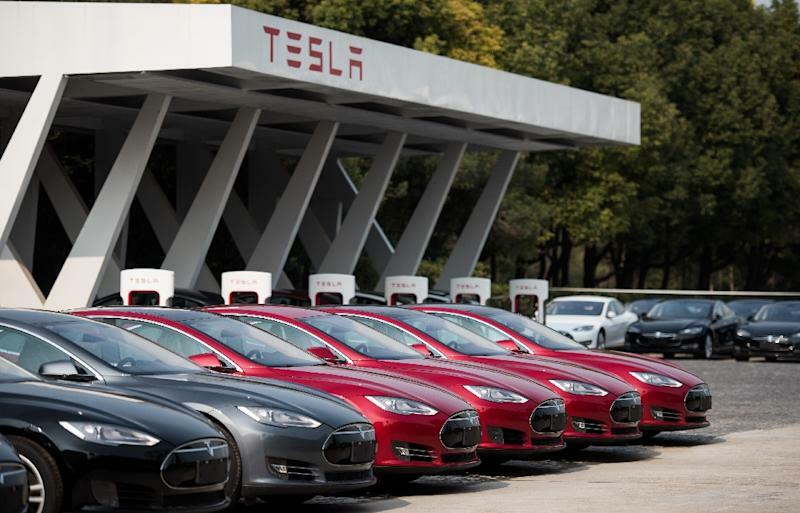 "Electric cars cannot develop if the charging service is insufficient." At a Tesla "experience centre" in Shanghai, nearly empty on a weekday, a staff member explained: "People have a lot of questions about electric cars." Ahead of its launch, Tesla stressed that the base price for its cars would be the same around the world, with retail differences only due to shipping costs and tax issues. Even so the Model S costs from 685,000 yuan to 953,000 yuan ($112,000 to $156,000) in China, according to Tesla's official website, significantly more than in the United States. While the Chinese government offers subsidies to electric car buyers, they do not apply to imported vehicles such as Teslas. Musk alluded to the issue when visiting last month, saying Tesla plans to localise production in the country in three years -- which will require a Chinese partner. Stricter emission and fuel consumption standards, along with free plates in some areas that limit conventional cars -- including Shanghai, where vehicle licences can fetch as much as $12,000 at auction -- have potential to support electric vehicle sales. But the market remains small for now. Electric and hybrid vehicle sales in the country reached 26,581 in the first quarter of this year, three times the same period in 2014 but still accounting for less than one percent of total sales, according to the China Association of Automobile Manufacturers. "There is always a niche in the market for certain products," said Namrita Chow, London-based principal analyst for IHS Automotive, but added that Tesla's high-end vehicles face competition from German automaker BMW, which offers the electric BMW i3 and hybrid BMW i8. Hybrids combine an electric engine along with a conventional combustion one. Data analyst Shen Zhe, who already owns a "Qin" hybrid made by Chinese automaker BYD, said he plans to upgrade to a fully-electric Tesla in the future. "Conventional cars cause noise and pollution," he said. "I'm considering buying a Tesla within the next two years. Tesla is a hi-tech product that I'm happy to accept."